IP storage networks are a popular choice for today’s Cloud based and Virtualized data centers. 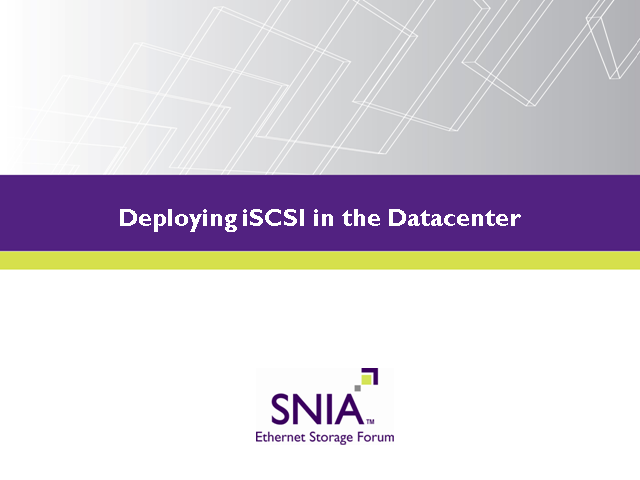 Demartek’s Dennis Martin is our guest speaker, and will share first-hand expertise and actionable best practices for effectively deploying iSCSI storage networks. It doesn’t matter if you have a large, medium or small environment, Dennis will provide application specific recommendations that you won’t want to miss.